Celtic medallion was totally hand-crafted in heavily oxidised and polished fine and sterling silver. Steel ring was given a leather dangle to indicate the most important key. 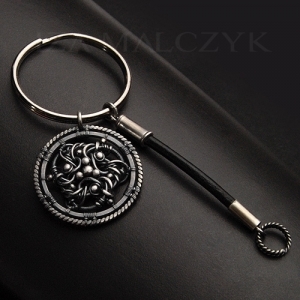 The medallion's diameter is 3cm.